Just how accurate is Dirty Bomb’s vision of a terrorised, futuristic London? Personally speaking, today’s Dirty Bomb teaser trailer hit close to home. 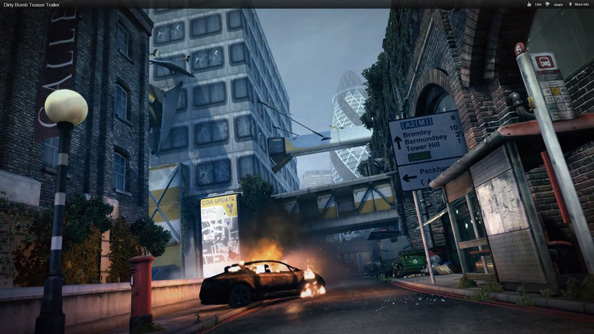 It hit close to home because Splash Damage’s freshly teased shooter is literally close to my home in London Bridge, where I live in wait of videogames being set near me. The Dirty Bomb trailer shows a near-future vision of the nation’s capital, ruined by some sort of thing, presumably a dirty bomb. The eponymous explosive. The titular TNT. Whatever caused the problem, it’s made the surviving men and women very angry with one another, so now they fight with guns for points. But how accurate a version of London Bridge have Splash Damage created? I have investigated, using my bike and my camera. 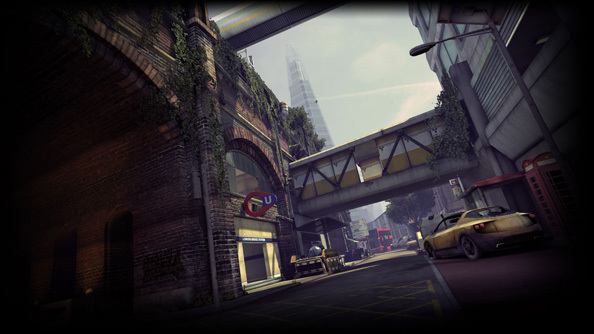 The best view of the map shown in the Dirty Bomb trailer is roughly 28 seconds in, as the camera looks east along a destroyedTooley Street outside London Bridge station, the oldest railway station in London and one of the oldest railway stations on the entire planet, opened as it was in 1836. Accurate enough, though Splash Damage have taken some creative liberties in transplanting The Gherkin from its location north of the river to somewhere in Bermondsey. It’s an interesting building, The Gherkin, and close enough to London Bridge that, feasibly, a big earthquake could’ve moved it into the position seen in Dirty Bomb’s future. Though an earthquake of that magnitude would likely haveposed a bigger problem than any dirty bomb ever could, and the game would thenhave had to have been called TheEarthquake That Moved Our Buildings. 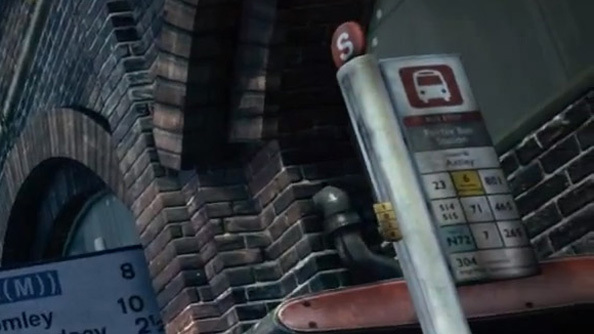 Looking closer, at the bus stop on the right hand side of the street, we see some impressiveattention to detail. Bus stop S is present and accounted for! 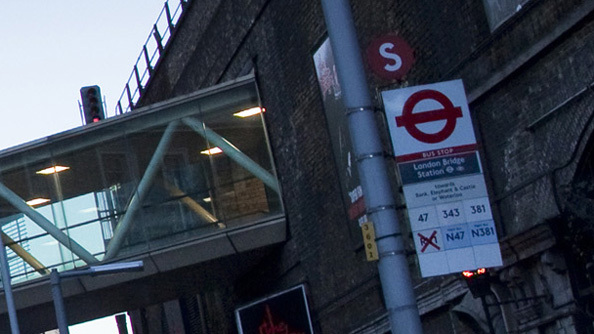 Excellent bus stop!Though where in reality it is named London Bridge Station, it appears to be called something else in Dirty Bomb, and is served by an entirely different set of buses. The bus routescould have changed in the future, I suppose, but in what sort of dystopian nightmare would a stop be served by the N72 and not its daylight sister,the 72? Dirty Bomb’s is not a futuristic London I would choose to live in. 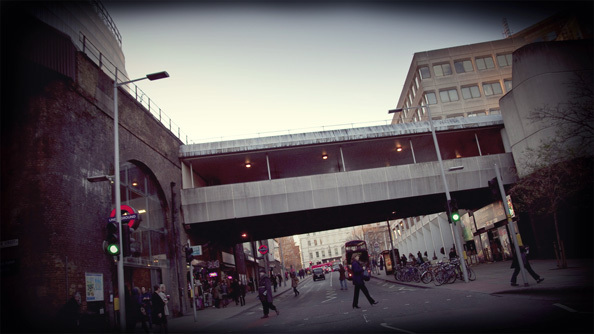 Note the zig-zagged support bars in the pedestrian footbridge in the background however, as it seems to have inspired the footbridge in the second Dirty Bomb image, which lookswest down Tooley Street, from the same position. I stood on the wrong side of the road for this photograph, so forgive the shift in perspective. There are fewer similarities to note here, but look at the arches on the outer wall of London Bridge station on the left side of the image. They’re faithfully recreated in Dirty Bomb, while the street itself has been narrowed significantly. The iconic LondonUnderground logo is copyrighted and owned by Transport for London, so a fictitious, updatedversion of the roundel appears instead. 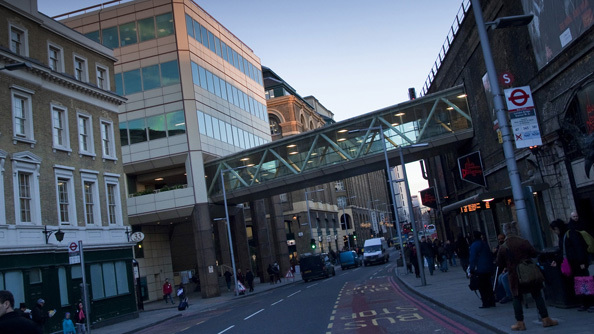 That station entrance in Dirty Bomb ismeanwhile based more closely on an entrance that appears further along Tooley Street.This one, with the cheekyjaywalkers. Much like the first image, Splash Damage have made some concession to the idealised vision of postcardLondon by adding a red phone box (where the first image added a red postbox). They’ve also relocated The Shard, the second tallest building in Europe, nearer to Waterloo. 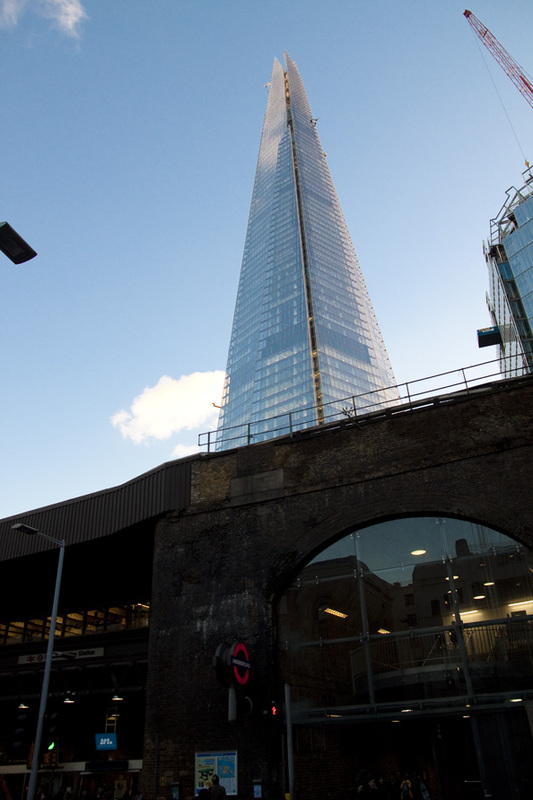 In realitythe Shard isactually closer, just behind London Bridge station. Clearly Splash Damage didn’t think it aesthetically pleasing enough where it was, despite its proximity. So there’s a reasonable degree of geographic shuffling going onin aid of, presumably, some form of team-based FPS shooter mechanics. 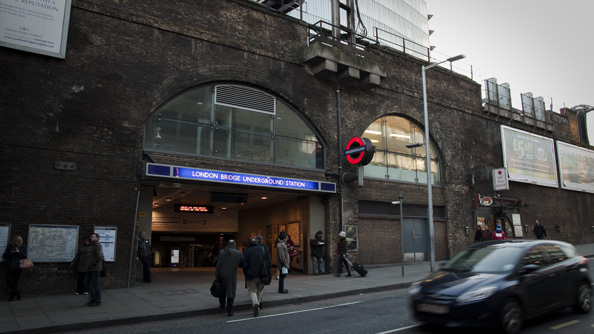 Generally speakingLondon’s an underused destination in games, Hellgate: Londonnotwithstanding, and is diverse enough to host a thousand such multiplayer maps. Though whether or not Dirty Bomb will stick to London’s boroughs orspread its focus farther afield is a complete mystery for now. If they stick to London Bridge, I know a great Nando’s nearby. We’ll have more (that is to say,proper content)on Dirty Bombvery soon.